The ProJet 3510 HDPlus uses Multi-Jet Modeling technology to deliver high quality, durable plastic parts. This model has 3 different resolution modes for printing concept models, verification prototypes and patterns for pre-production and manufacturing. 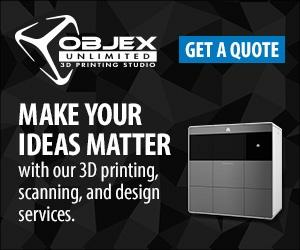 This 3D printer features a 60% expanded, high-definition build envelope and advanced print detail output compared to the 3510SD and HD models. A 16 micron print resolution delivers exceptional parts with unmatched micro-detail and surface quality using the VisiJet materials. These UV-cured plastic materials are available in a range of colors, translucensies and tensile strengths, with melt-away white wax as support material.